Carry your must haves for casual travel inside this sporty rolling duffel bag from Athalon. 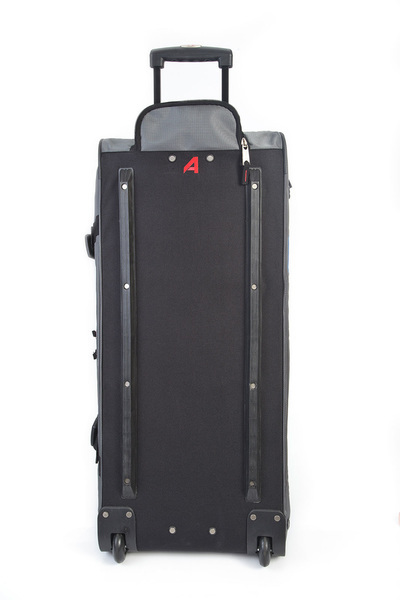 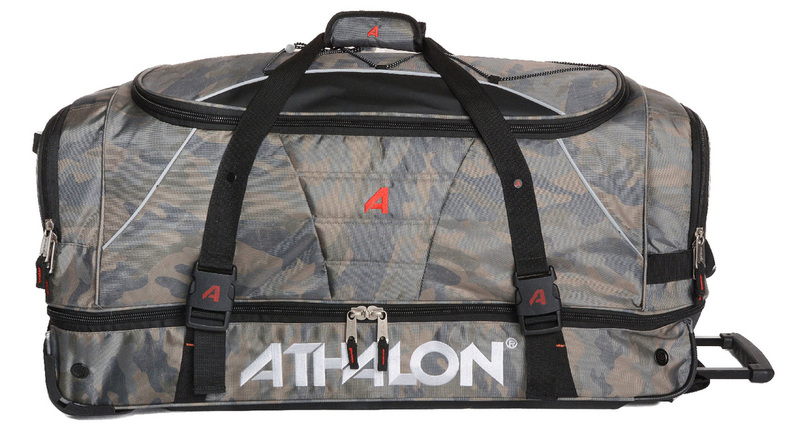 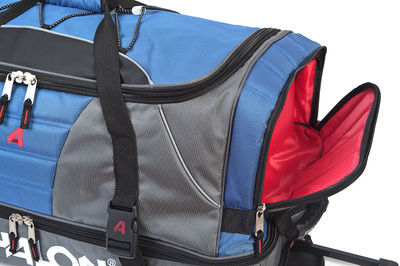 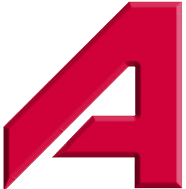 The Athalon 32" Equipment Duffel w/ Wheels is made from a polyester/nylon fabric blend and features an extra-large shape with a lightweight design, ball bearing in-line skate wheels that make it easy to maneuver, and a hidden telescoping pull handle. 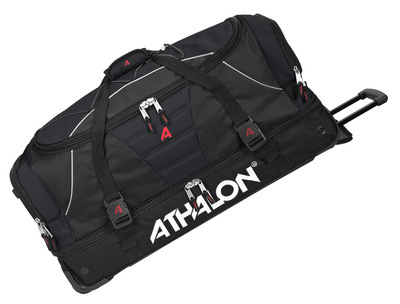 Detailed with protective bottom runners and ergonomic rubber grip handles, this rolling duffel includes a U-shaped top zipper closure on the main compartment, a zip around divider, and a separate zip around drop bottom that offers separate storage for boots and shoes, dirty items, or bulky gear. 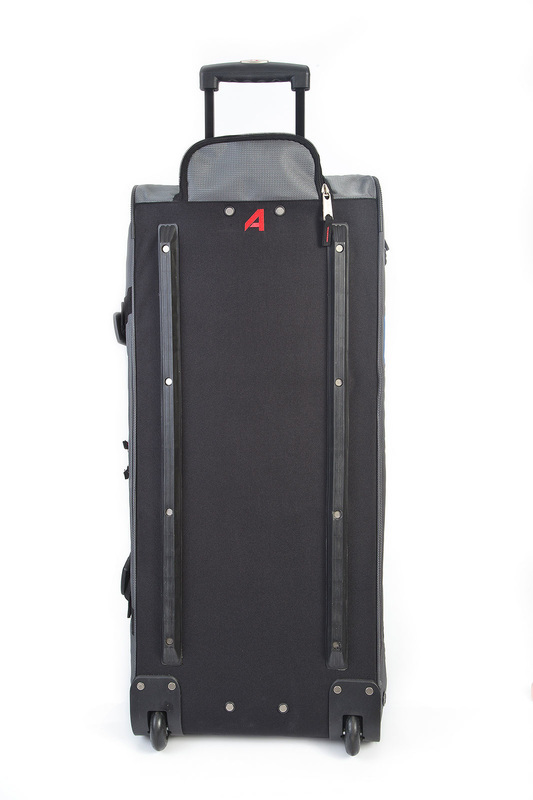 Exterior Dimensions: 32" x 14" x 14"